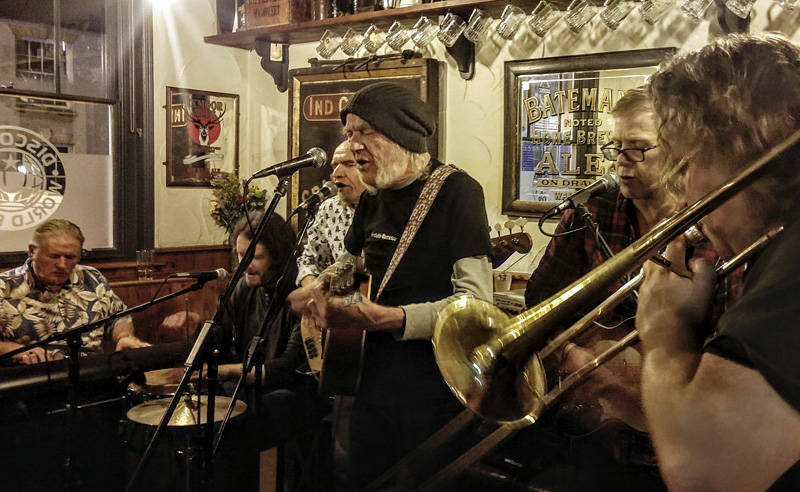 This is Nottingham pub band The Last Pedestrians playing at the Lincolnshire Poacher on Sunday night. Their music is a potent mix of junkyard grooves and gruff vocals supplied by the legendary Harry Stephenson. The gig was packed so I ditched the usual DSLR in favour of a LG G4 camera phone. This shot was taken on a busy 6 week trip to the UK. It was great to catch up with friends and family all over the country. Thanks for the hospitality from everyone.